Col. Elisabeth Borelli and Chief Master Sgt. 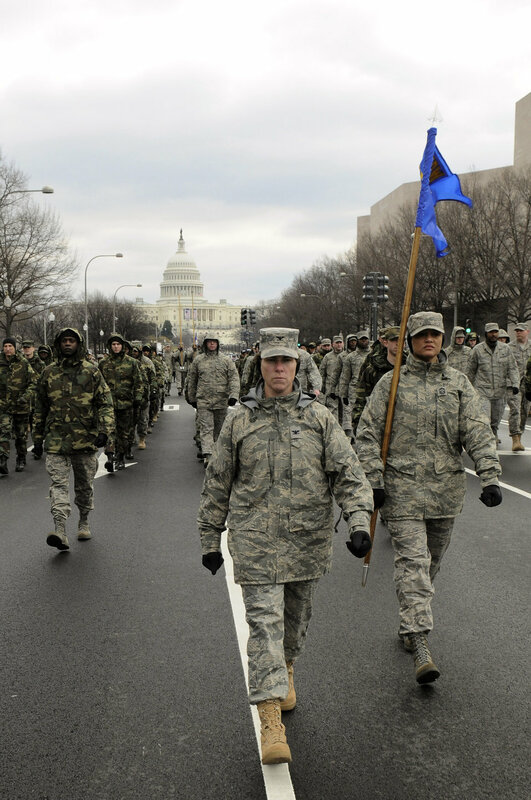 Robin Johnson lead a flight of Airmen from the Air Force District of Washington down Constitution Avenue during a practice run of the inauguration parade for President-elect Barack Obama Jan. 11 in Washington, D.C. Colonel Borelli is the 11th Operations Group commander, and Chief Johnson is the 11th Wing command chief.